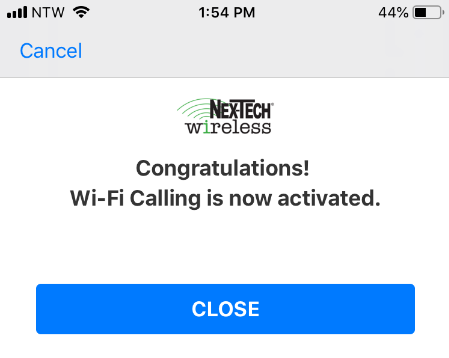 Voice calls can now be made in one of two ways: utilizing the Nex-Tech Wireless LTE network (VoLTE) or connecting to a Wi-Fi network (Wi-Fi Calling). Calls will connect faster and be high-definition quality. These calls will provide a more natural-sounding voice call eliminating background noise heard on traditional connections. Enjoy a simultaneous data session and phone call, giving you the freedom to browse the web while talking. Messaging will also experience speed improvements, making sending and receiving messages even faster. Ready to take advantage of these enhancements? Follow the simple steps below to enable these services. To enable, navigate to Settings>Cellular>Cellular Data Options. 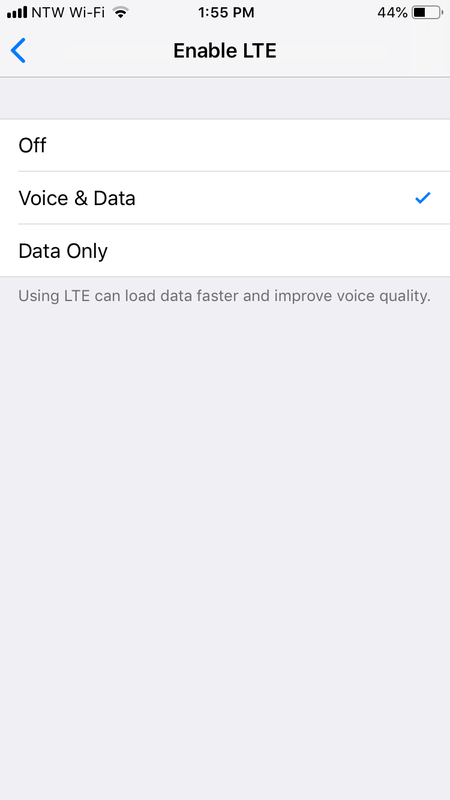 Click on Enable LTE and select Voice & Data. 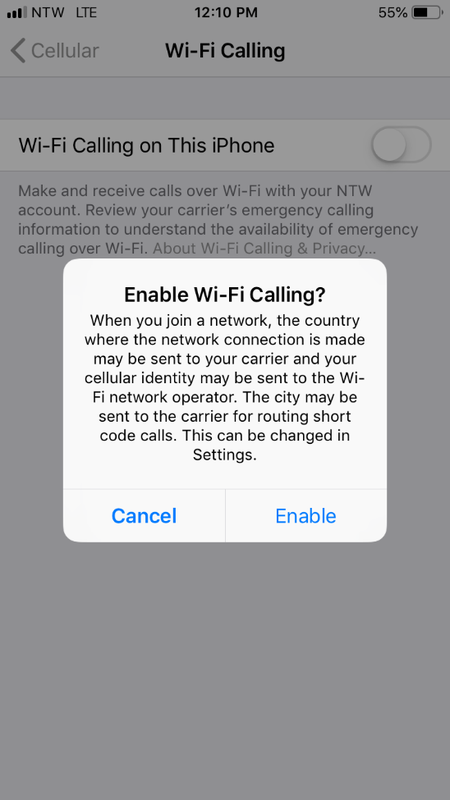 To enable, navigate to Settings>Cellular>Wi-Fi Calling. Toggle On. A prompt will appear to confirm this change. Select Enable. Terms and Conditions will appear. Read and click Accept. Enter the address you would like listed as your emergency services address and click Save. 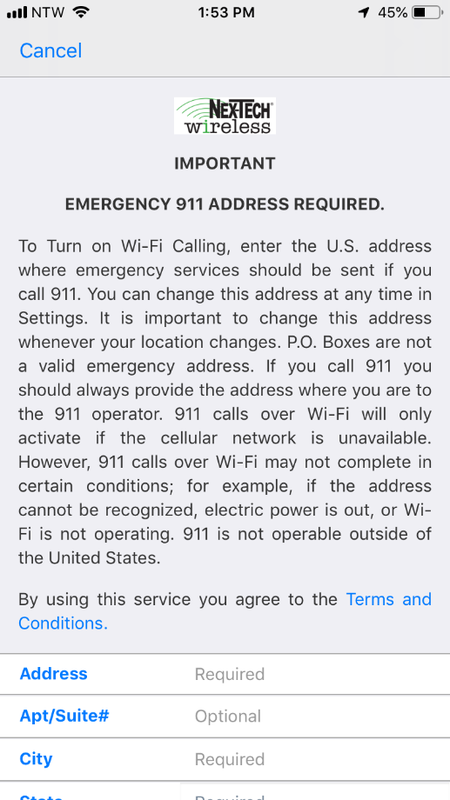 If you live in a rural area, a new subdivision, or a newly built home your address may not be recognized during the set up of Emergency 911 Address. This information will be updated the following business day. In the meantime, you can enter an alternate address and update the emergency address at a later time. After these settings have been enabled, you will not notice any change to service as the network selection used for your calls will be automatically determined by your handset. When utilizing Wi-Fi Calling, you may also experience improved in-building coverage in areas that have poor cellular signal. 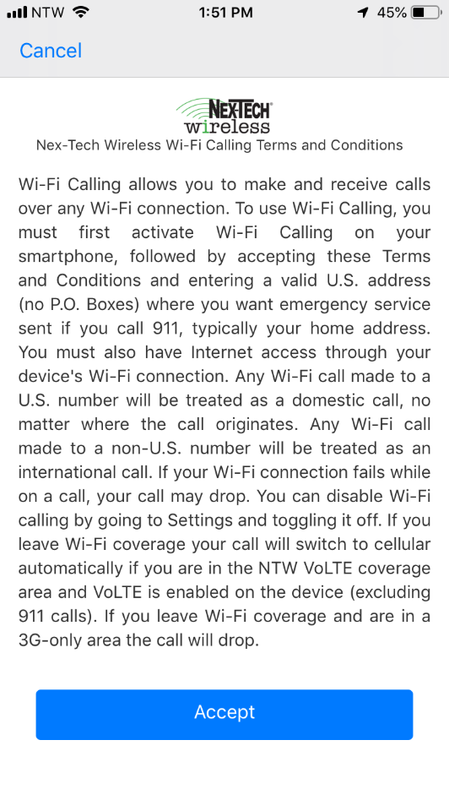 Wi-Fi calling will work on any Wi-Fi network. Currently VoLTE is only supported on the Nex-Tech Wireless network. Devices will continue to have service on existing roaming partners and we look forward to launching these enhancements nationwide later this year. Currently, only Apple iPhone 6 and newer devices will be able to access these new features. We plan to roll this out to other devices soon! 1. Dial *72 and the 10 digit number you want your calls forwarded to and press Send (Example:*727856251234, Send), you will then hear 3 confirmation beeps. End the call. Your phone is now forwarded. 2. To turn off Call Forwarding Immediate, dial *720 and press Send, you will hear 3 confirmation beeps. End the call. Your phone is now set back to ring your handset. As always, if you experience any issues please reach out to our Customer Care team to investigate. 611 from your NTW phone, or 877-621-2600.